As the employee benefits marketplace continues to evolve and consumers take greater responsibility for their financial security, it's more important than ever for you to offer innovative options that serve a wide range of employee needs and circumstances. You can add value to your clients by offering College Tuition Benefits. Your clients can attract and retain employees with a unique program that helps them pay for a family member's education. Guardian plans give employees the protection they need, enable employers to manage costs and help you build your business. With over 155 years of experience, mutual ownership and exemplary financial ratings, we're going to be around for a while. Grow your business with us. If creating an account, you can obtain your Group Office Code from your Guardian Group Representative. Within a few hours you will receive a "Welcome to Tuition Rewards" email. This email will be sent from support@sagescholars.com. It is a good idea to add this email to your address book and/or junk email filter as an approved sender now to help ensure proper delivery of your welcome email. Once you receive your Welcome email you will be able to log into your account. Need help logging in? 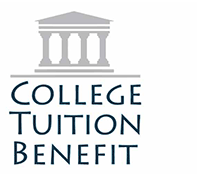 Give us a call (215) 839-0119 or brokerinfo@collegetuitionbenefit.com.